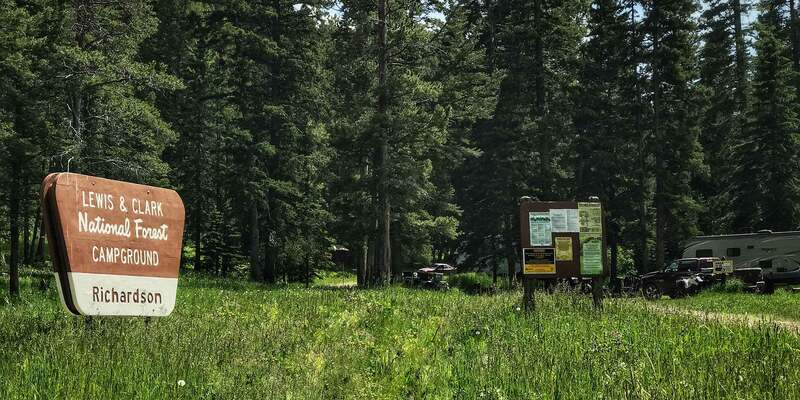 This campground is located in the Castle Mountains, and though they are not the Little Belts, they are very close to them and offer access further into the range. The campground is surrounded by large trees, and a multitude of hiking, motorbiking, ATV trails spider out from this general area. Richardson Creek and Fourmile Creek intersect, and you can fish for small brookies and trout. Pets are allowed if on lease and please pack out what you pack in!